Nachfolgend finden Sie nur wenige von aktuellen Kunden erhaltene Beurteilungen. Diese zeigen den Grad der Zufriedenheit über unsere gebotenen Service. Zögern Sie nicht Ihre Bewertung mit uns zu teilen! Thank you so much, everything has been perfect and your staff were fantastic! We can't thank you enough for making our move so easy. Thank you! JUST WANTED TO SEND YOU A NOTE TO THANK YOU AND YOUR TEAM FOR DOING SUCH A GOOD JOB LAST WEEK IN MOVING US AND OUR STUFF IN ,HERE IN PLAYA BLANCA. IT ALL WORKED OUT VERY WELL, THANK YOU! HAPPY DAZE, LEW AND SUE. Colinda and Tanja, Your team is fantastic, the move happened quickly and with a lot of true professionalism. We are very happy with your services and also your kindness. Thank you for everything. "vous êtes merveilleuses!" BRILLIANT all our stuff arrived in perfect condition, gentlemen that brought it were so nice and helpful. Would recomend them, WELL DONE worldwide! Nogmaals heel veel dank voor de goede organisatie van onze verhuizing. Het is echt allemaal heel soepel en prettig verlopen, zowel het contact met jullie kantoor, de franse verhuizers en ook tijdens de levering hier op La Palma. Klasse! Bei worldwide Tenerife habe ich für meinen Umzug ein sehr aufmerksames, freundliches und effizientes Team vorgefunden. Alles verlief planmäßig und nach meinen Wünschen. Meinen herzlichsten Dank. Ich empfehle euch sehr gerne weiter. Thanks for your excellent service. We couldn’t have realized a 30 year old dream without you ! Your service was super from day 1 and we were very impressed that everything went so smoothly without any problems! Nogmaals dank voor de aangename en goede samenwerking, zowel de service in België als op Tenerife waren super !! I just wanted to pass on my thanks for the efficient and friendly service on delivery of our container at residence Gran canaria. The whole team of Worldwide Moving worked very hard and everything was delivered within 3 hours. Very impressed with the overall service! Many thanks again! Phil and the boys did an amazing job this morning. So quick and so professionally done. It took so much stress away from me! Phil was so helpful right from the start and still managed to accommodate me when my dates of completion changed. I can't recommend your company enough. Thank you all so much! Sehr guter Service, vielen Dank, wirklich sehr professionell! I moved recently from Denmark to Gran Ganaria. I contacted World Wide Moving and Colinda helped me from the first phone call until some days after the boxes arrived with a follow up on how everything was. They really help you to make the big change in your life as easy and comfortable as possible. All the information I had by phone was confirmed in an email afterwards so everything was very clear to me what and when everything was going to happen. On the day the furniture arrived, 3 friendly guys from the company put all the stuff from the container in the house. Within no time the container was empty and I could start with unpacking. 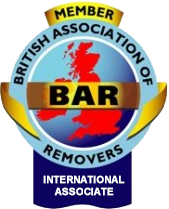 I really recommend this company if you want your removal to go as smoothly as possible. Thanks to Colinda for all your help in Dutch! Thanks for taking the stress of the moving away from me! I want to tell you that the cartons were delivered to us in a very satisfactory way. I want to emphasise that the packing of our effects was brilliantly done and everything was in perfect condition when unpacked. I would recommend your company at any time. I just wanted to write and say how impressed we were with the way you and your company dealt with final part of our move to Las Palmas. You made dealing with the paperwork very easy, the communications were dealt quickly and efficiently, which made the process far less stressful for me. The team you sent to carry out the move were hard working, polite and efficient. Please thank all those concerned and rest assured that we will recommend your company at every opportunity. Vielen Dank für die supereffiziente Abwicklung des ganzen Umzugs, ich bin hell begeistert von Ihnen und Ihren Mitarbeitern und spreche Ihnen allen ein grosses DANKESCHÖN aus! Quiero agradecerles por la profesionalidad de vuestro equipo. Los chicos han sido geniales, muy atenciosos, muy correctos, calmos y amables. Acabo de enviar email a la empresa del origen comentando la alta profesionalidad de vuestra empresa. Once again a thousand thanks for all you have done for us. We have been most impressed with the quality of Worldwide's service, and will have no hesitation, if any potential clients need to check, to give you a glowing reference. The team arrived spot on time and were first class in distributing the furniture across the house. I cannot thank them enough and would recommend Worldwide to anyone looking for transport of furniture! Perfect, fast & efficient service! Very professional company with delightful and truly helpful staff, thank you all so much! Our furniture was so well packed that in some cases we struggled to unpack it. I have recommended your company to friends, as you are not just a man with a van! JOB WELL DONE, MANY THANKS PHIL AND TEAM! Zeer tevreden, dank u wel voor de perfecte service en hulp bij mijn verhuizing. Al het papierwerk, de douane-afhandelingen, huisbezoeken etc werden op een professionele maar toch persoonlijke manier voor mij geregeld, waarvoor hartelijk dank! Ook vond ik het zeer prettig dat de hele verhuizing geregeld werd in mijn eigen taal, zowel in België als op Tenerife! Absolutely fantastic service! Thank you!! Die Auflieferung war einfach super! Alle Mitarbeiter sehr nett und höflich. Ich wurde eure Firma gerne weiterempfehlen. Exzellenter Service! Unser Umzug nach Teneriffa verlief für uns völlig stressfrei und problemlos ohne Sprachbarriere, da alle Zollformalitäten für uns übernommen wurden. Jetzt können wir das Leben auf den Kanarischen Inseln in vollen Zügen genießen! Excellent service, delivery was brilliant, Juan had a full grasp of the whole matter, he is a great asset to your firm. Thanks to everyone, including office support! Thanks for your great service, I will have pleasure in recommending you in the future. The move went very well. I was very impressed by the professional work carried out by Juan, Jon and Felipe. Please pass my thanks to them and I would be more than happy to recommend "Worldwide Moving" to my friends & colleagues. I would like to thank you for your assistance in moving to Gran Canaria from the UK. The guys were fantastic and I will recommend your company to my friends! Thank you once again!! Many thanks for the move from Tenerife to Lanzarote, the lads were very professional and it was a pleasure working with them. I cannot thank you & your guys enough for the very careful and expert way our fragile items were packed, particularly the glasses. Nothing damaged in any way! I will certainly recommend your company, should the opportunity arise in the future. All packing was superb, our effects arrived in excellent condition! Many thanks to you & your staff, we would recommend your services to all our friends! Very good service, would recommend to friends. Delivery man Juan is excellent!! Fantastic guys, very quick & careful with everything!